OMEGA, the Swiss luxury watch brand with over 170 years of expertise in horological world, hosted exclusive opening party of “25 Years of OMEGA Seamaster Diver 300M” exhibition, to celebrate the 25th anniversary of its iconic Seamaster Diver 300M, the favourite of professional divers ever since it debuted in 1993 and also the perfect watch for world’s most beloved spy, James Bond, as well as to launch the all-new Seamaster Diver 300M for the first time in Thailand on Wednesday 14th November 2018, at Central Embassy. 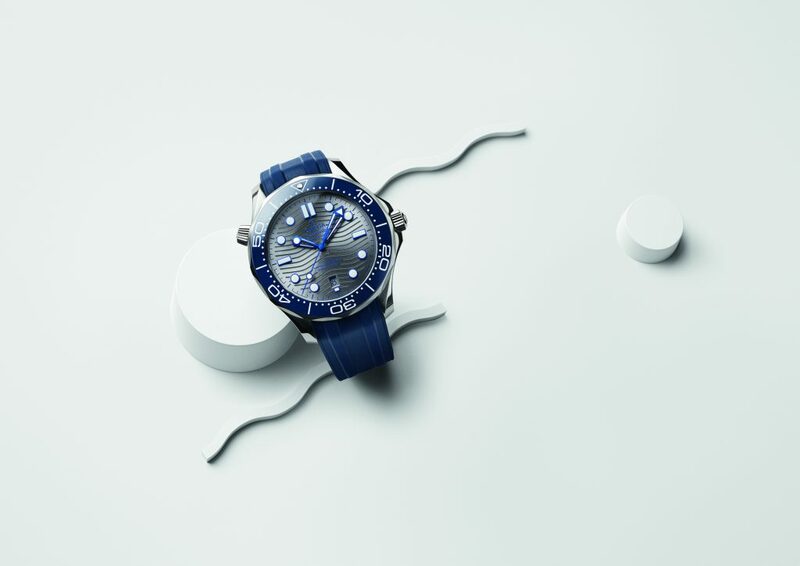 Since 1993, the Seamaster Diver 300M has become one of the iconic timepieces of OMEGA. 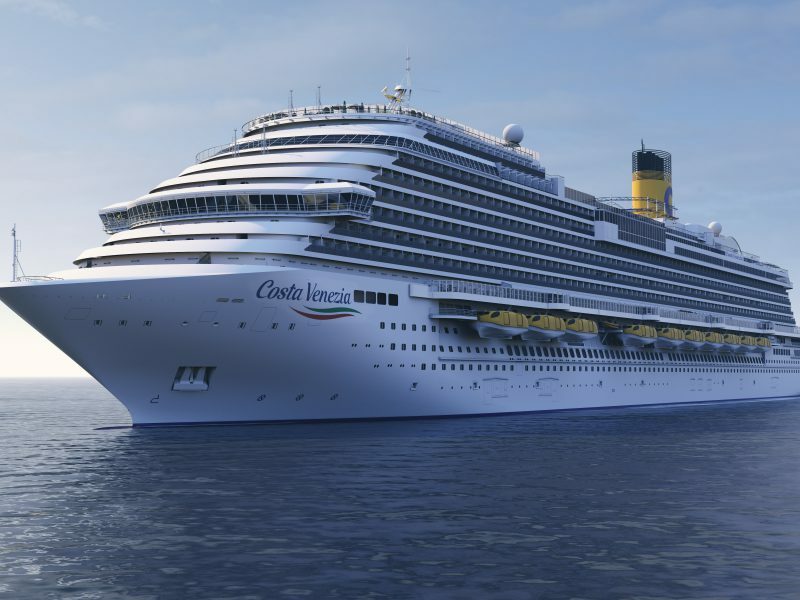 Admired for its design and ocean technology, it was quickly adopted by divers, athletes, researchers and even a famous movie spy. To mark 25 legendary years of Seamaster Diver 300M, OMEGA would like to bring you back to its fascinating history through this exhibition. 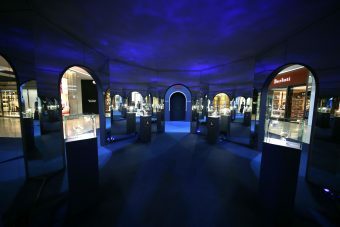 The exhibition includes “HOW THE SEAMASTER DIVER 300M BECAME A LEGEND” section, revealing the remarkable history and some of the many highlights from its early years. In 1993, Frenchman Roland Specker achieved a world record freshwater free dive to a depth of 80m in Lake Neuchatel. 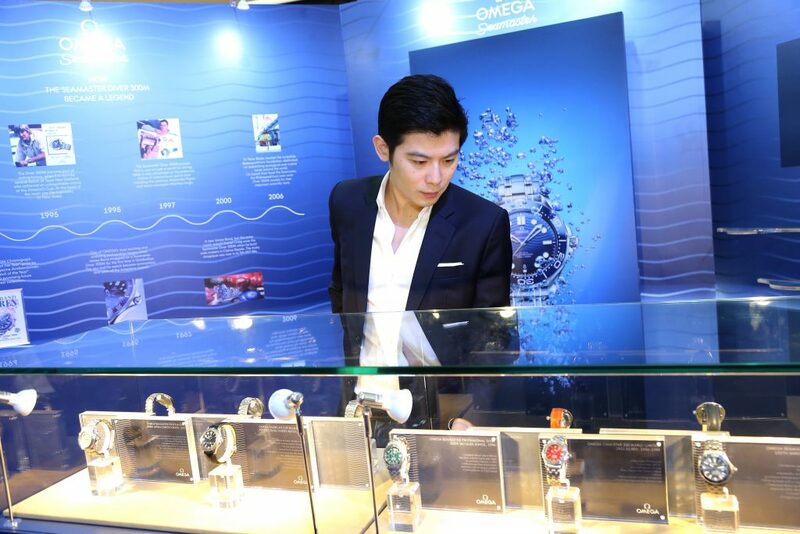 On his wrist, he wore the new OMEGA Seamaster Diver 300M, successfully testing it in a true deep-water environment. In 1995, The Diver 300M became part of sailing history, when it was worn by several sailors of Team New Zealand, who achieved an unforgettable victory at the America’s Cup. Also, One of OMEGA’s most exciting and enduring partnerships began when James Bond strapped on a Seamaster Diver 300M for the first time in GoldenEye. The spy and his watch became synonymous and sales of the timepiece soared. In 1997, The Seamaster Diver 300M proved that is was not just a watch for diving, when it was advertised as the preferred choice of international sports stars including the swimmer Alexander Popov and tennis champion Martina Hingis. In 2006, a new James Bond, but the same iconic watch! 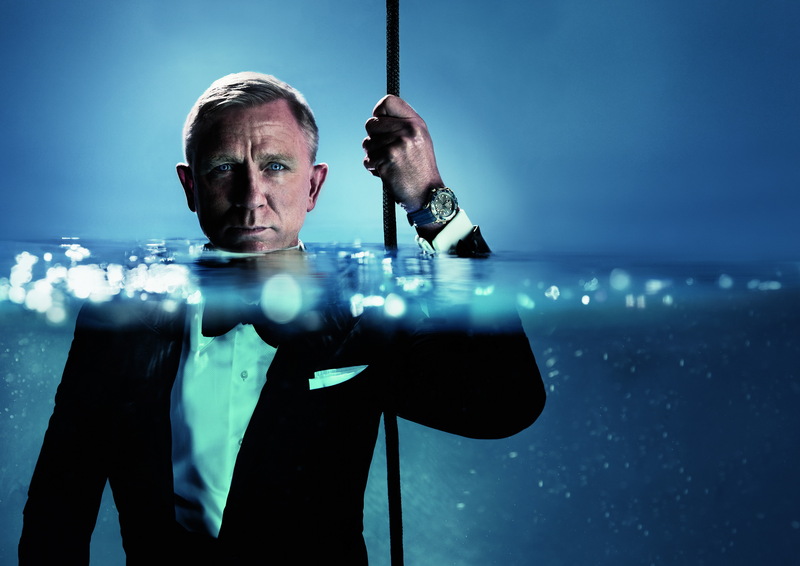 Daniel Craig wore the Seamaster Diver 300M when he burst onto screens in Casino Royale. The trusty timepiece was now in its 5th 007 film. 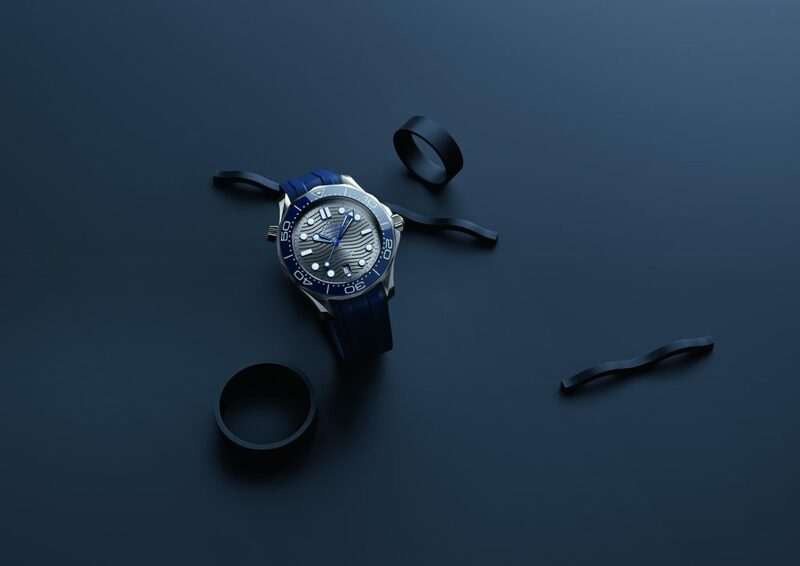 Enjoyed 10 rare vintage timepieces, from its beginnings in 1993 to the latest Seamaster Diver 300M such as Seamaster Titanium 150th Anniversary, Seamaster Professional Diver 300M Jacques Mayol, Seamaster 300M America’s Cup and so on, with the showcase of materials and movement of the Master Chronometer Calibre 8800, the technological advancement of this collection at Watch Test Bar. 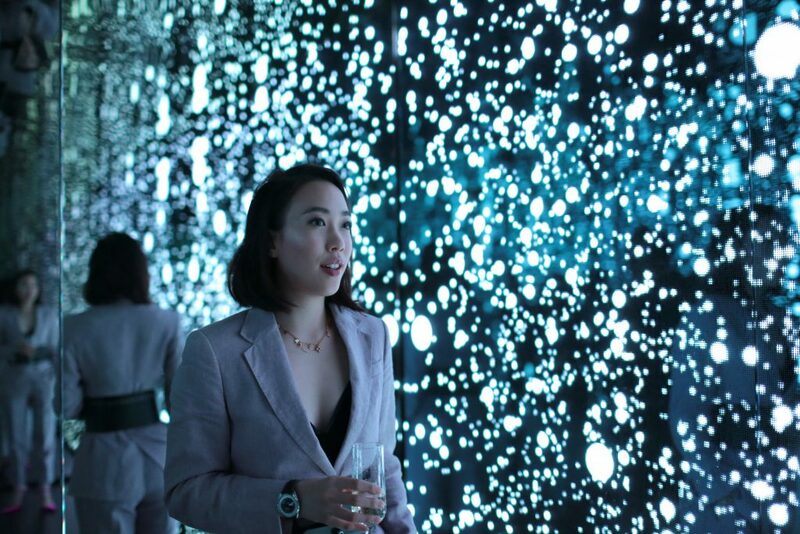 All guests were also impressed by the showcase of the new Seamaster Diver 300M models, before entering through the infinity room where guests were amazed by the motion graphic that exquisitely reflected the wave pattern, the true identity of its original design, at the end of the exhibition. OMEGA is unveiling a complete facelift of this famous watch in 2018, with 14 unique models, including 6 in stainless steel and 8 in a mix of stainless steel and 18K gold. Now sized at a larger 42 mm, each new Diver 300M has been given a Master Chronometer Calibre 8800, the METAS-approved movement instantly taking the collection into a higher realm of precision, performance and magnetic resistance. 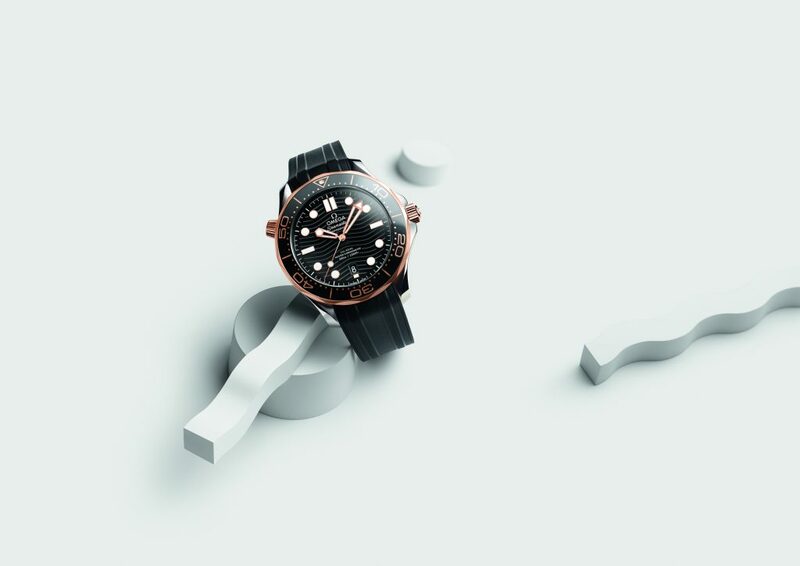 Every detail of the outward design has also been rethought, including the iconic diving bezel, which is now made from ceramic with the diving scale in Ceragold™ or white enamel (for longer-lasting whiteness and durability). The dials are also made from polished ceramic and are available in black, blue or sun-brushed PVD chrome colour. Most notably, OMEGA has reintroduced the wavy pattern (now laser-engraved) that was a popular feature of the original design. Finally, each model is presented on a traditional iconic metal bracelet or an integrated black or blue rubber strap. The metal bracelets feature a new ergonomic design and have been closely integrated to the case. “25 Years of OMEGA Seamaster Diver 300M” Exhibition is now open to the public until November 20th, 2018, 11.00 – 20.00 hrs. 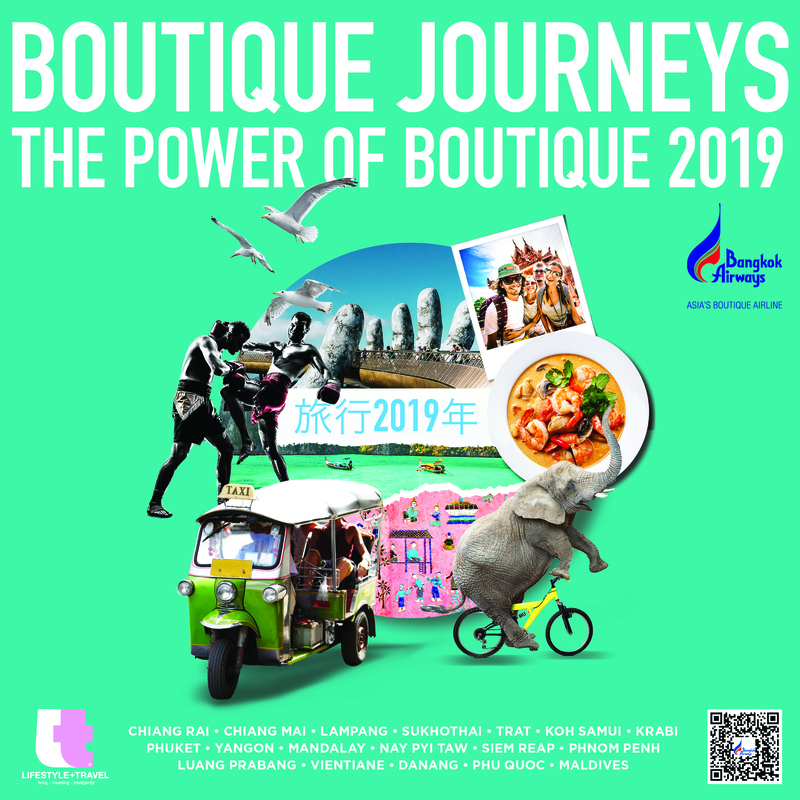 on G floor, Central Embassy.